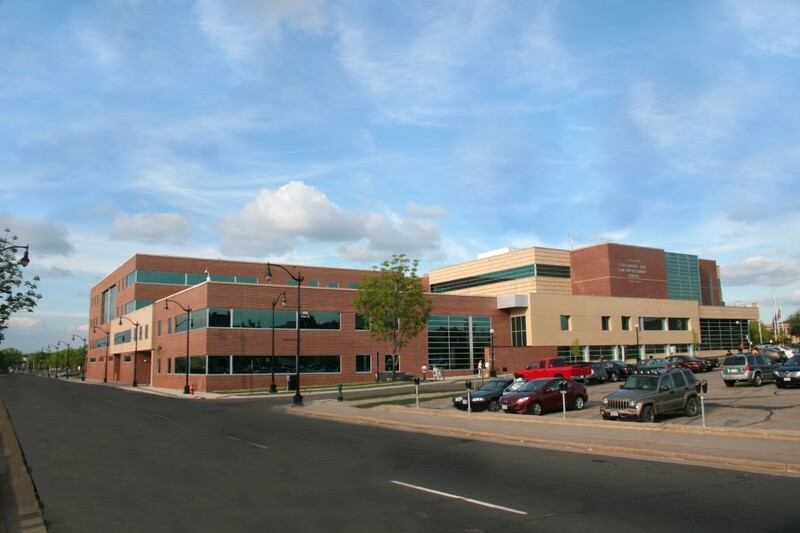 This project is a 134,000 square foot addition and 13,500 sf renovation to the existing La Crosse County Law Enforcement Center in order to increase bed capacity while improving operational efficiency and security. The capacity was increased by adding two direct supervision housing pods. The housing is supported with indoor recreation and program rooms directly off the new housing pods. 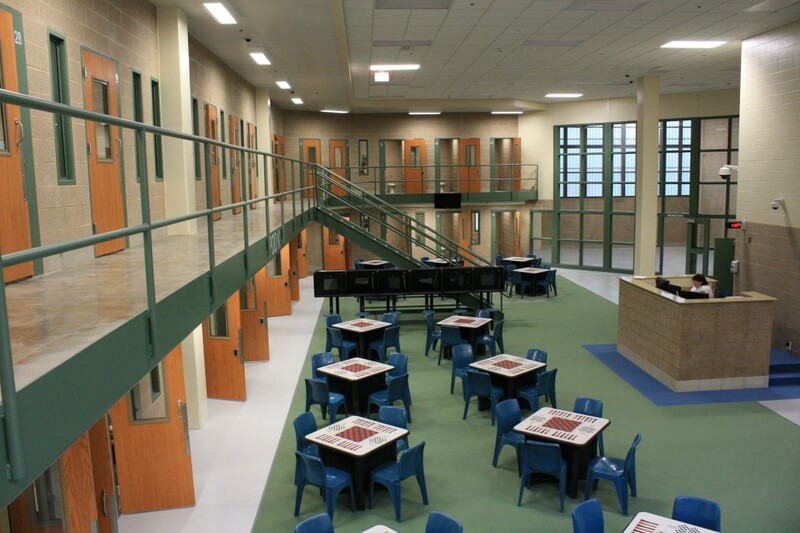 Integration of the justice sanctions program into the jail and court facility and improvements to jail support operations occupy the majority of the ground floor, including a new intake and booking area, vehicle sally port, kitchen, laundry, master control, and jail administration. The 1st floor is primarily non-secure with a portion of the area used for Probation and Parole, Sheriff’s training, and future expansion space for county departments. Renovation of the existing LEC involved the subdivision of an existing pod on the 2nd floor into two pods to be used for female inmates and remodeling the medical area on the ground floor of the jail. Safety and security of occupants and patrons using the facility was a major factor in planning the layout of this space. The primary result is a single main entrance into the facility where all staff and members of the public pass through security to enter the building. Potter Lawson teamed with River Architects of La Crosse on this project.